We have REALLY exciting news for you! 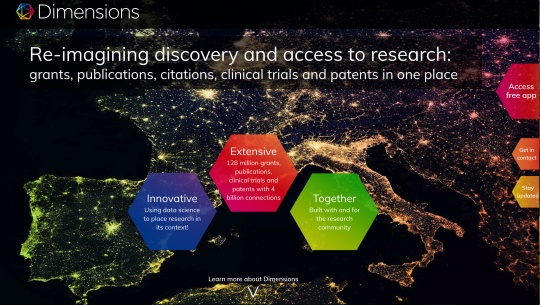 We’re proud to be part of a collaborative effort to create a new discovery platform designed to break down barriers to discovery and innovation – Dimensions! Dimensions developed through a dynamic collaboration across Digital Science and six of its portfolio businesses (Altmetric, Figshare, Symplectic, DS Consultancy, ÜberResearch & ReadCube) plus a robust list of 100+ community development partners. Dimensions is built for the community, by the community. And the best part? You can access for FREE! 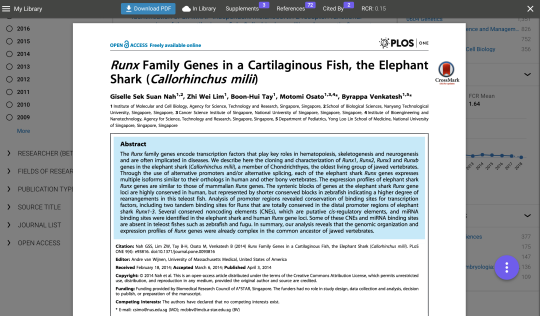 Dimensions builds off many of the features already available in ReadCube (like Enhanced Reading, citations, search) and added more data types and search capabilities, robust facetings, new metrics plus a fantastic level of data mapping. Search and find the latest literature: with the help of advanced filters and metrics to clear out the noise. 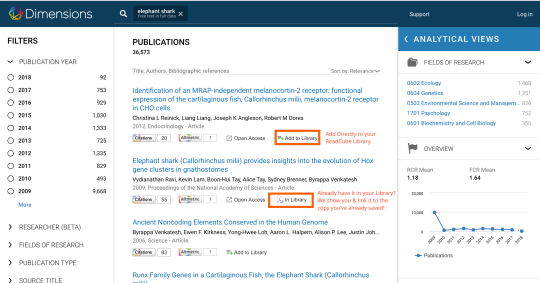 Read Open Access content with the click of a button: plus the option to add it to your ReadCube Papers library! Stayed tuned for more exciting developments between ReadCube & Dimensions in the coming months!